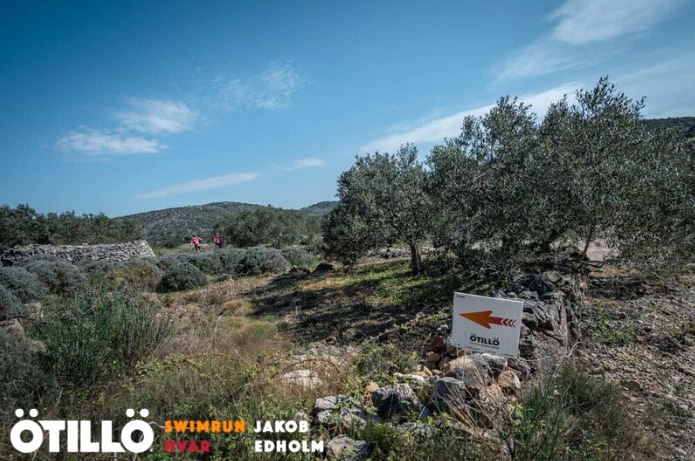 Exceptional first edition race at ÖTILLÖ Swimrun Hvar! 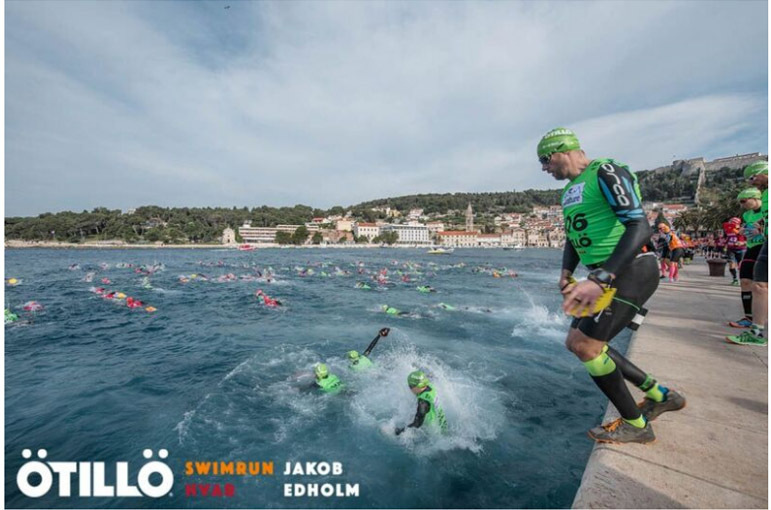 The swimrun season 2017 kicked off with a stunning race and a hard fought battle at the inaugural ÖTILLÖ World Series event at the island of Hvar, Croatia. 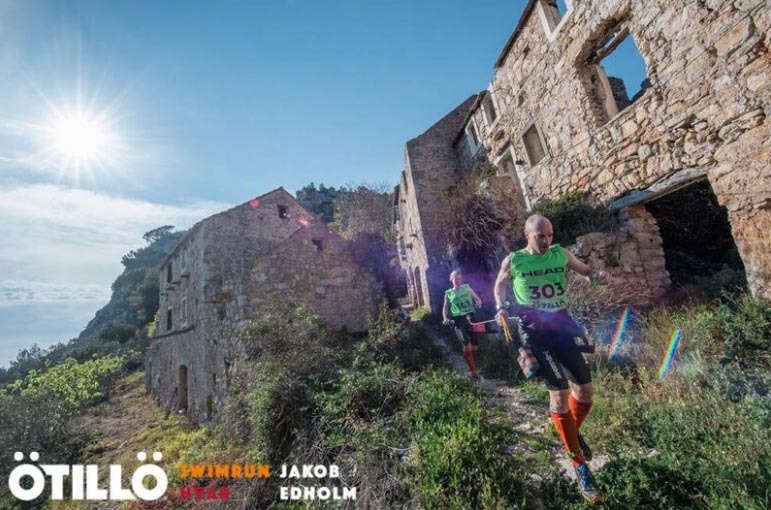 The Mediterranean setting had all the ingredients to make for a spectacular yet very tough swimrun race. 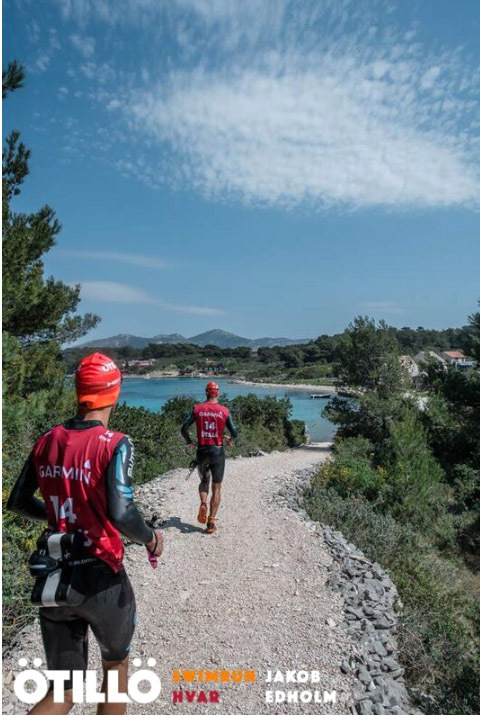 The 45,5 kilometres long course was a true test, alternating technical trail running with long, challenging stretches of open water swimming in a rough sea. 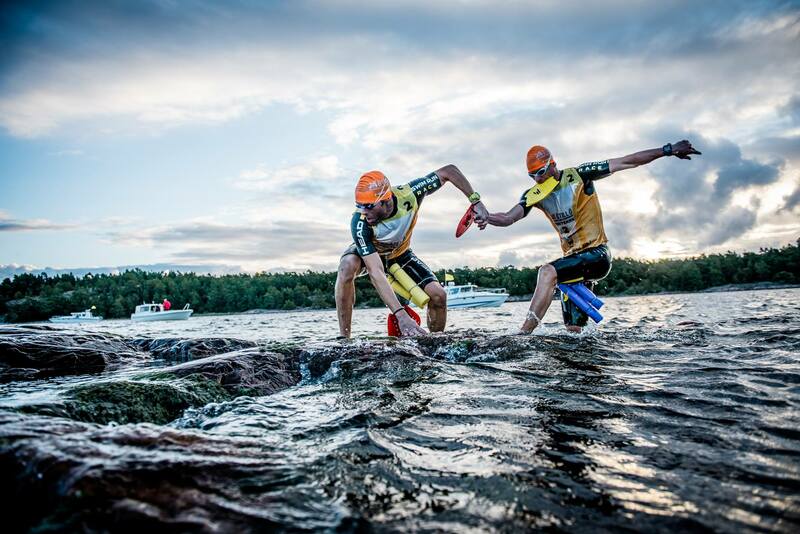 Reigning swimrun world champions Daniel Hansson and Lelle Moberg (SWE), managed to pull off from the leading pack and cross the finish line as the first team after 5 hours 55 minutes 08 seconds, closely followed by four other teams. Just 15 minutes after the leaders, incredible Annika Ericsson (reigning women’s world champion) and Stefano Prestinoni (SWE), finished as first mixed team and sixth overall with the time 6:10:57! The first women’s team Diane Sadik (SUI) and Charlotte Eriksson (SWE) completed an impressive race and finished 7:37:41. “This race is just something else! We have suffered today and nothing was for free. It was really tough for everyone and just an exceptional race. With the strong winds and rough sea, the swims were so hard, we spent so much energy in the water to hold course. But the race course fitted us perfectly, we loved the technical running in the hills. It’s unbelievably beautiful!”, said Lelle Moberg after finishing as overall winner with Daniel Hansson, Team Swedish Armed Forces. The island of Hvar, part of the Croatian Dalmatian islands, is considered one of the 10 most beautiful islands in the world. 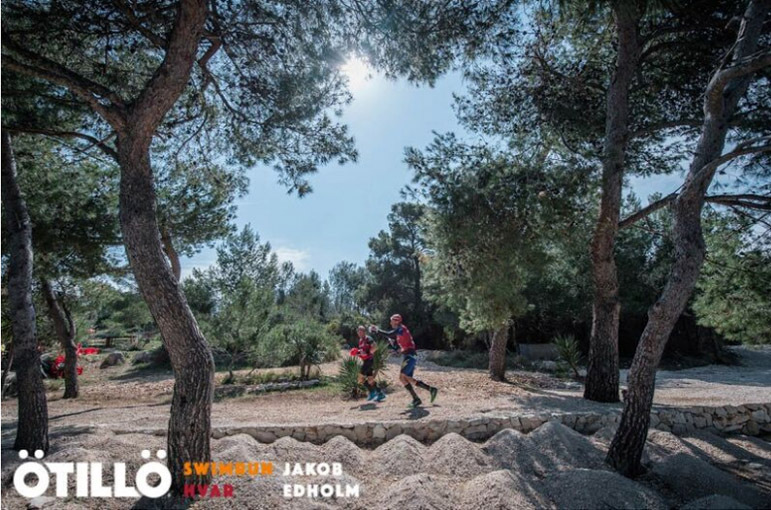 With its rich cultural and historic heritage, ancient olive trees and vineyards, crystal clear waters, limestone rock and varied terrain, surrounded by the fabulous Pakleni islands, Hvar is the perfect destination for a ÖTILLÖ swimrun race. 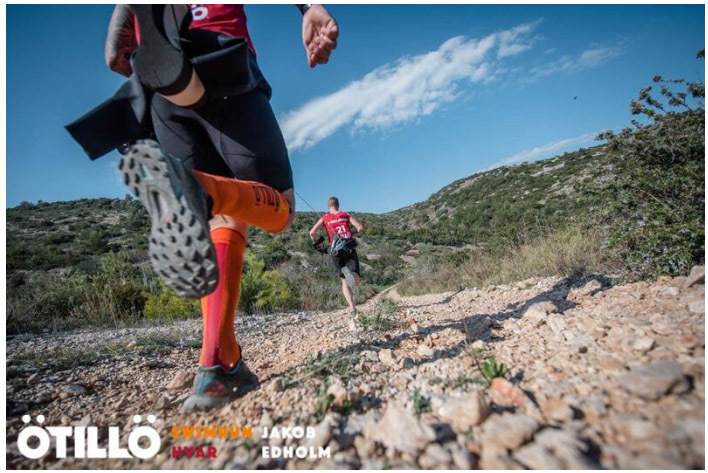 There is no doubt that Hvar has lived up to ÖTILLÖ’s claim of having unique races in unique places! 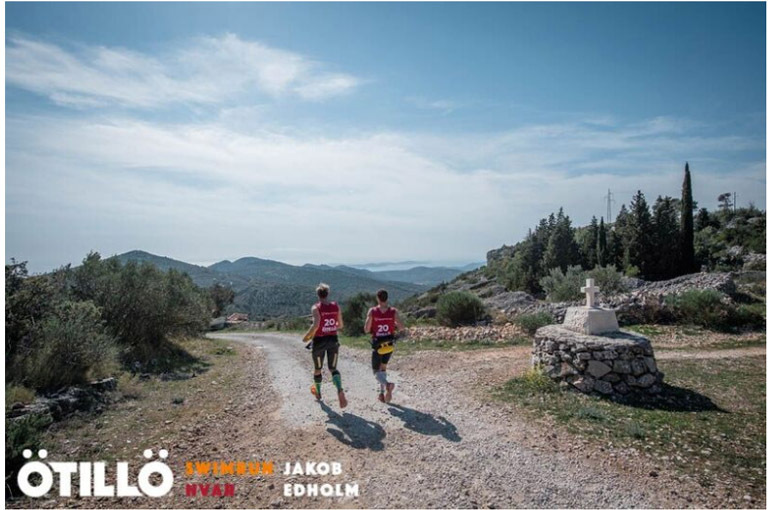 The 45,5 km race course of ÖTILLÖ Swimrun Hvar was as tough as it gets. 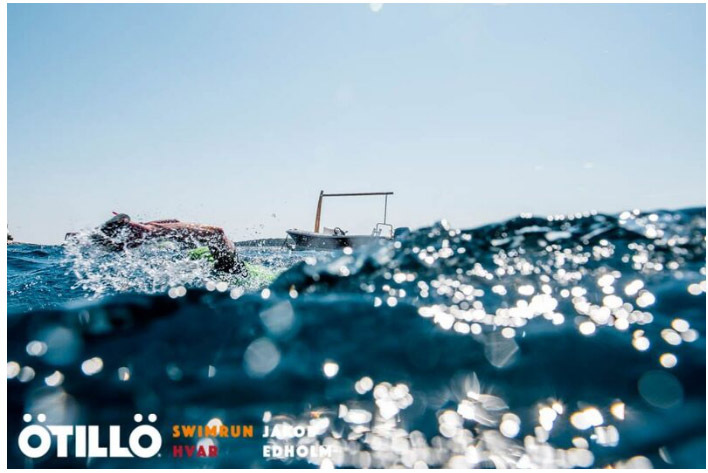 The crystal blue sea was agitated by strong winds and the longest swim crossing of 2 900 metres was a true test for all competitors. Just trying to stay on a straight course through the waves and currents, and tackling the cold water for such a long stretch was very difficult. A big part of the trail running was on technical trails, with a few tough climbs spicing up the challenge. 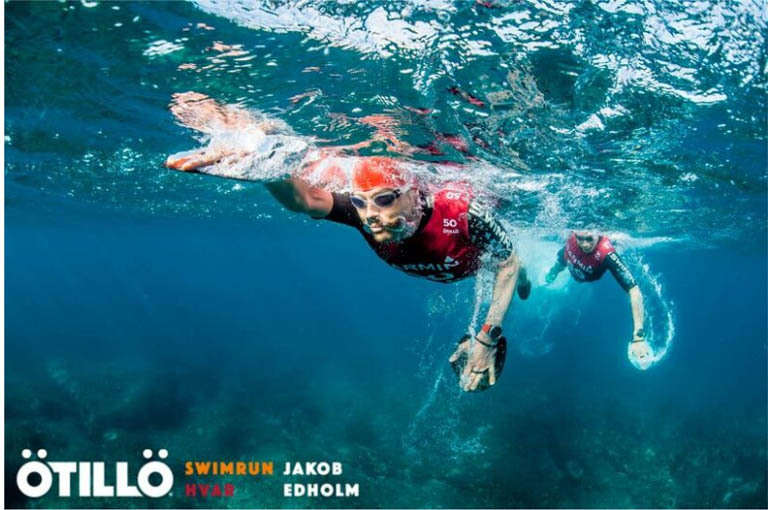 The need to adjust to running in the hot sun (in your wetsuit) and swimming in the relatively cold water temperature, of around 13-15 degrees, added to the test. Many teams had to struggle to make it in time for the two cut offs. Some had to abandon after the long, cold swim. The top teams pushed each other hard, chasing each other in a tight group all the way to the finish line. The level of competition is mind blowing! 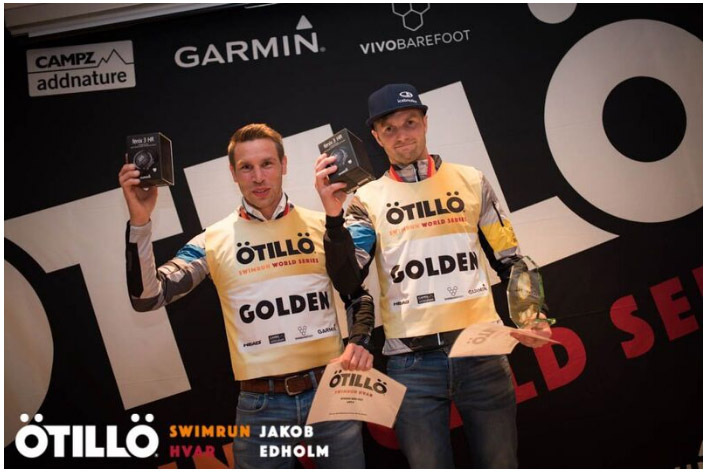 At all ÖTILLÖ swimrun events teams race in pairs. Working wisely with your partner is decisive. Using each other’s strengths will push boundaries. 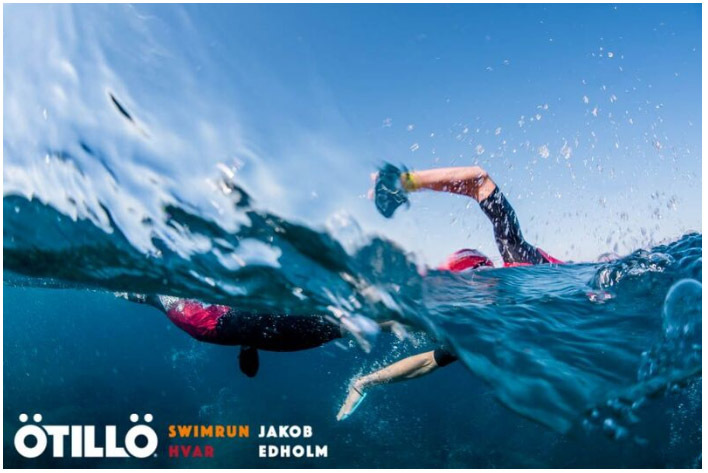 The team experience is incomparable and can only be fully understood by those who have practiced it, and is part of why swimrun is growing so fast in popularity. 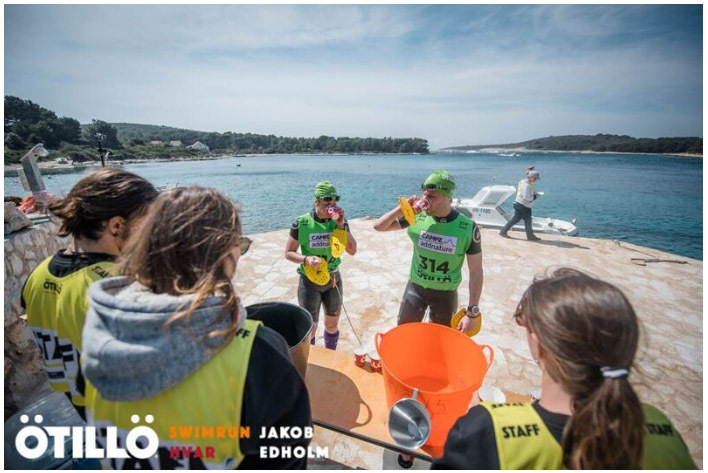 110 teams of two from 22 different nations travelled to Hvar to compete in the ÖTILLÖ Swimrun Hvar, a qualifier to the ÖTILLÖ Swimrun World Championship in the Swedish archipelago. 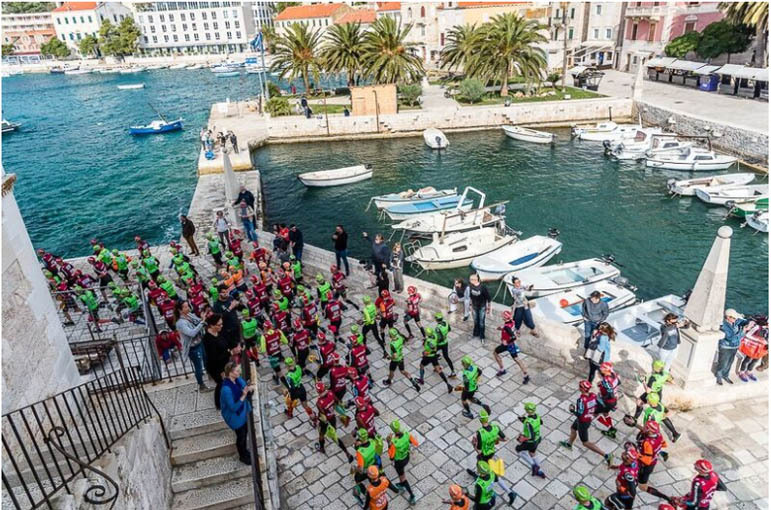 The day prior to the race a shorter more accessible race was organised, the ÖTILLÖ Sprint Hvar, offering the same flavours as the longer more challenging race but in a smaller format. 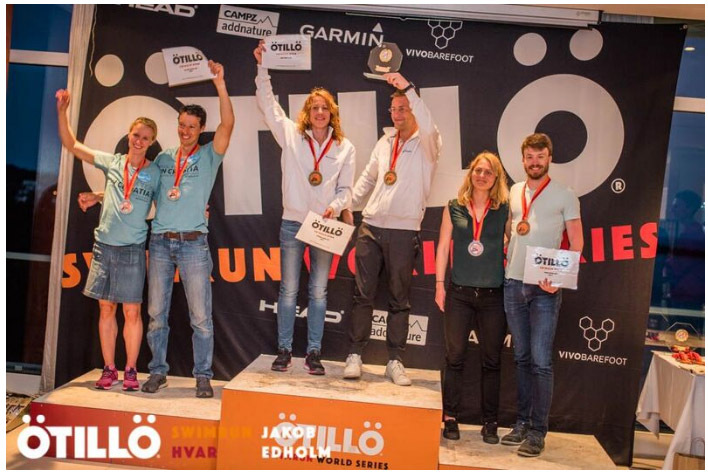 Eight top teams at ÖTILLÖ Swimrun Hvar qualify to the ÖTILLÖ Swimrun World Championship 2017, on 4 September 2017 in the Stockholm Archipelago; top 3 men, top 3 mixed, top 2 women.